Easter is a time for great celebration as we remember Jesus rising from the dead. But what does Easter look like in different countries? 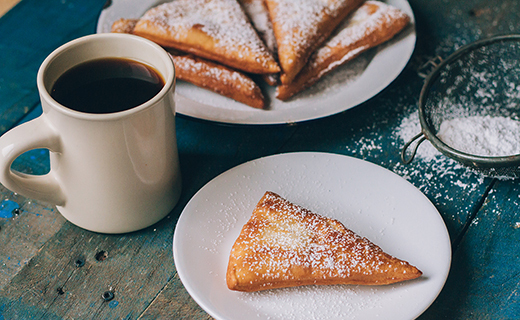 Enjoy this whistle-stop tour of stunning Easter traditions from around the world. At Easter, we reflect on Jesus’ death and resurrection. We celebrate the fact that Jesus overcame death and sin by dying in our place. 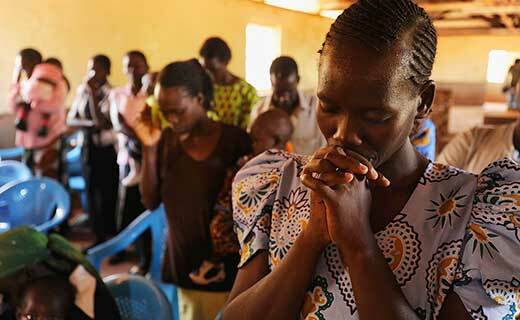 Easter is great news for our world, it’s the most important event in the Christian calendar. 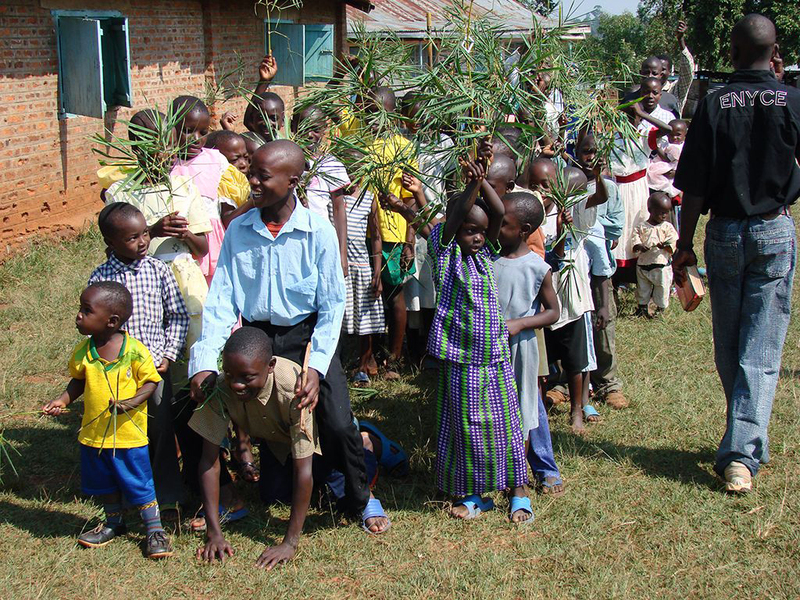 Easter traditions in Tanzania: Children from a Compassion project hold a Palm Sunday parade. Palm Sunday is the first day of Holy Week. It celebrates Jesus' arrival in Jerusalem riding of a donkey. Huge crowds gathered to meet Jesus, throwing their palm branches on the ground. Maundy Thursday is when the Last Supper took place. Jesus ate the Passover meal with his disciples, using the bread and wine to symbolise his upcoming death and resurrection. The word maundy comes from the command (mandate) given by Jesus at the Last Supper, that we should love one another. 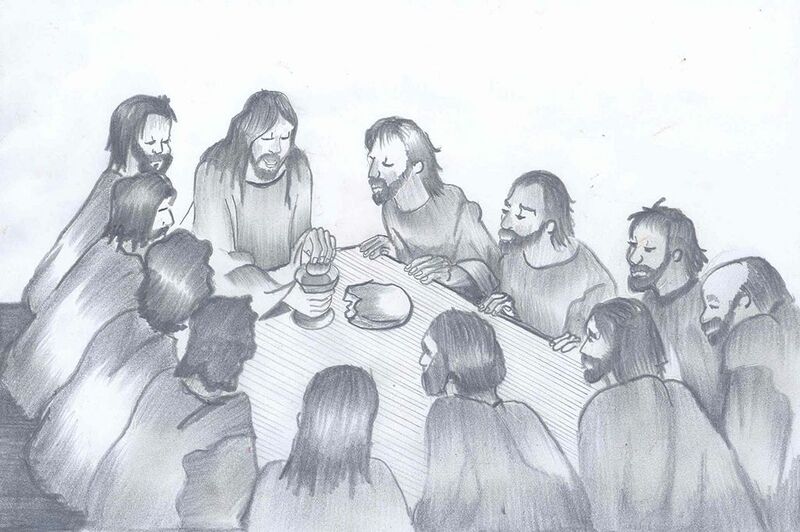 Drawing of the Last Supper by Compassion-sponsored child Justin from Kenya. This is the day when Jesus died on the cross, fulfilling the promises in the Old Testament. In some countries there are special Good Friday processions, or re-enactments of the crucifixion. 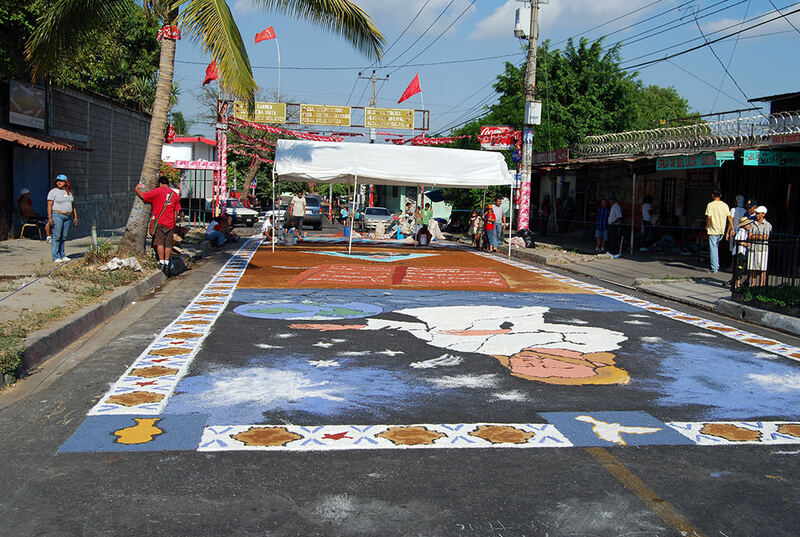 On Good Friday in El Salvador, young people create beautiful Easter paintings made with sand and sawdust. The roads which have paintings on are closed during the week's events. Three days after dying on the cross, Jesus rose again, sin and death and making a way for us to be reconciled with God. From tooth-brushing competitions to kite flying, here are a collection of Easter customs from around the world. 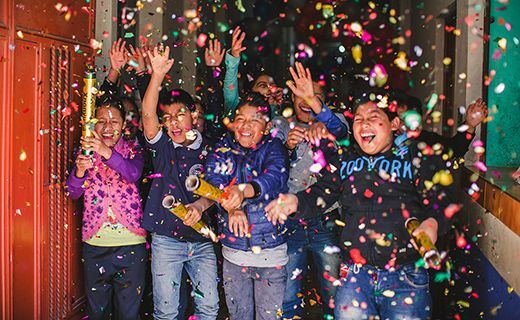 Discover how Compassion-sponsored children might be celebrating this year. 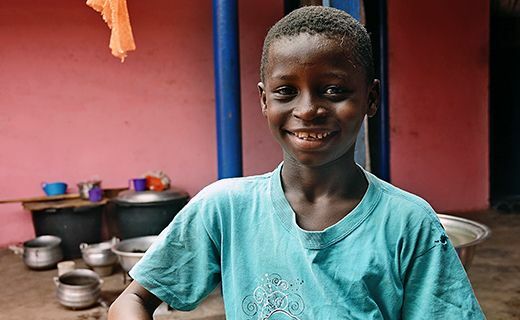 Find out more about child sponsorship and how we’re empowering children born into poverty. 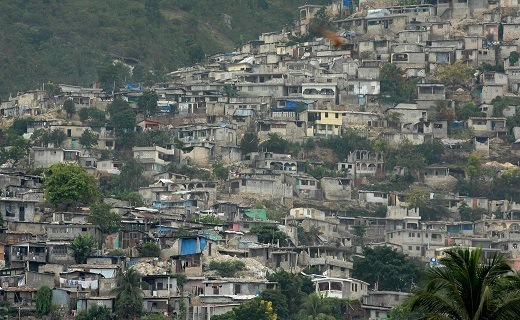 In Haiti, kids have the freedom to spend Good Friday playing outdoors. On this day colourful kites fill the sky and children run long distances, often barefoot, trying to get their kite higher than their friends. 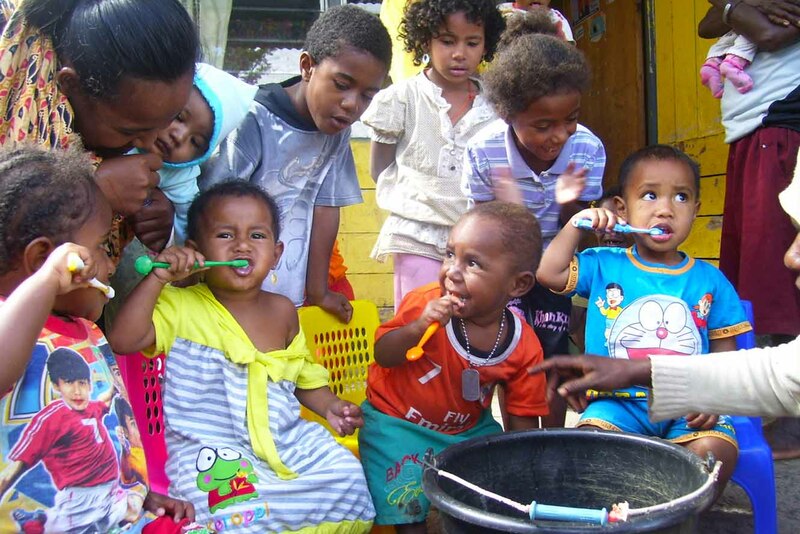 Slightly unconventional, but these kids in Indonesia are celebrating Easter with a tooth brushing competition! At their project in the east of the country, staff organise fun games which have educational benefits. In Ethiopia, Easter is called Fasika and marks the end of a 55-day fast during which Christians have only eaten one vegetarian meal a day. Ethiopians will often break their fast after church by eating injera (a type of bread) or teff pancakes, made from grass flour. 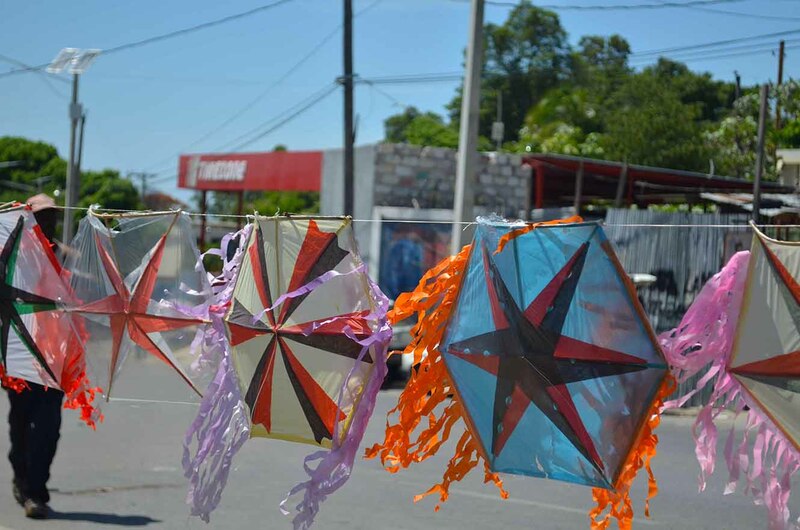 In El Salvador, Easter has a summer time feel as it falls in the middle of their dry season. 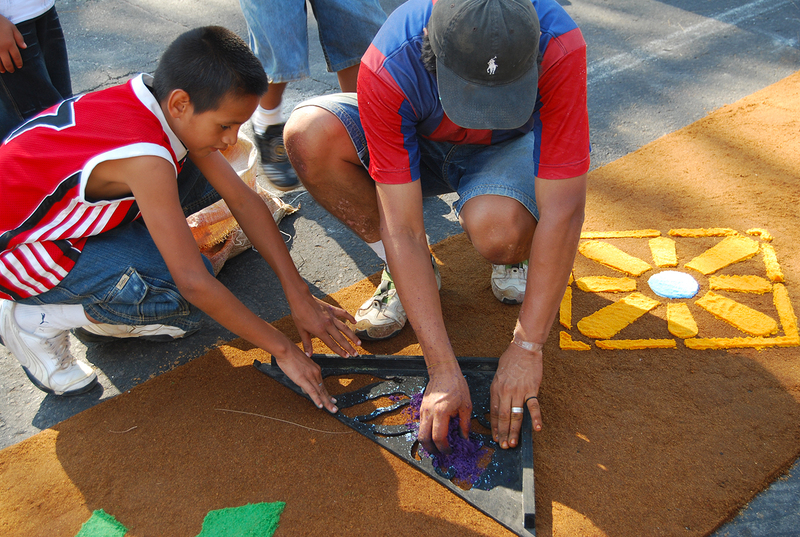 On Good Friday communities make rug-like paintings on the streets with sand and sawdust. These later become the path for processions and main avenues and streets are closed. Ghanaians dress in certain colours to mark the different days of Easter. On Good Friday, depending on the church denomination, men and women will either dress in dark mourning clothes or bright colours. On Easter Sunday everyone wears white. 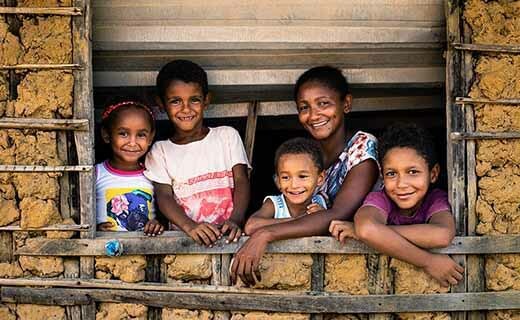 In Brazil, we caught up with 11-year-old Renan who shared why he celebrates Easter. Renan: It’s the resurrection of Jesus. Why does everyone need Jesus? 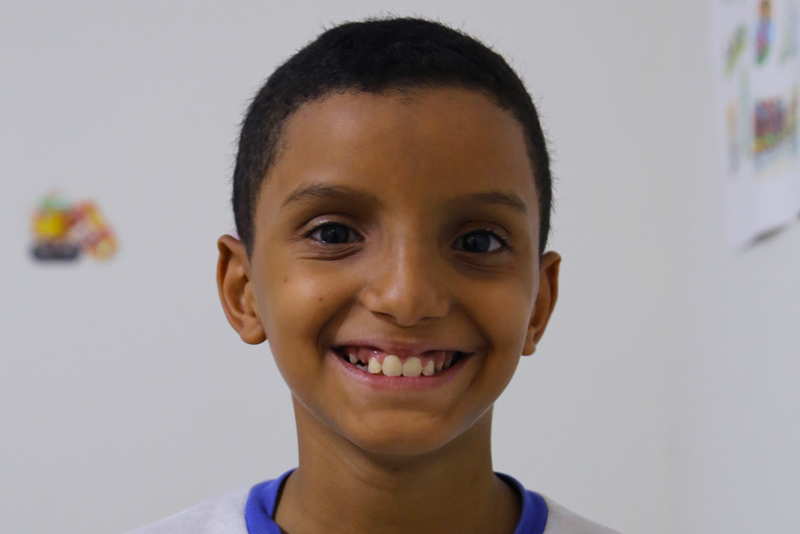 Renan: Because if a person has a problem, Jesus can fix it. 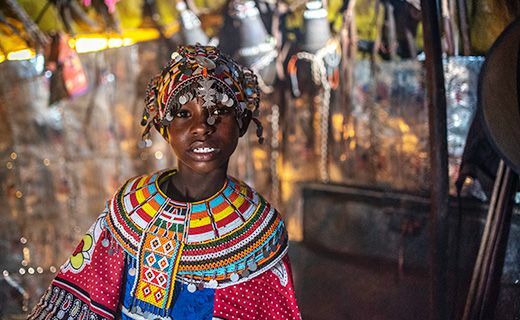 On Easter Sunday, kids in Kenya look forward to a sumptuous Easter meal after church (Easter services are known to last for three hours!). 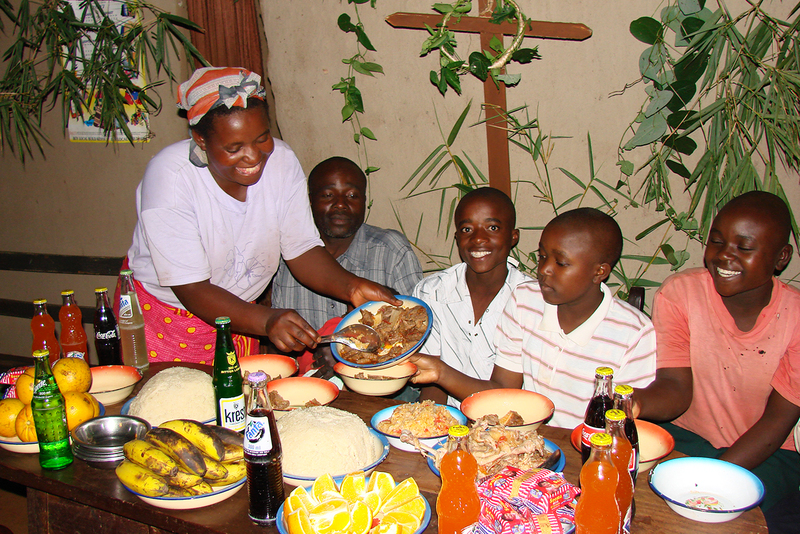 Children share Nyama Choma (roasted meat) and have a soft drink with their meal – a real treat! 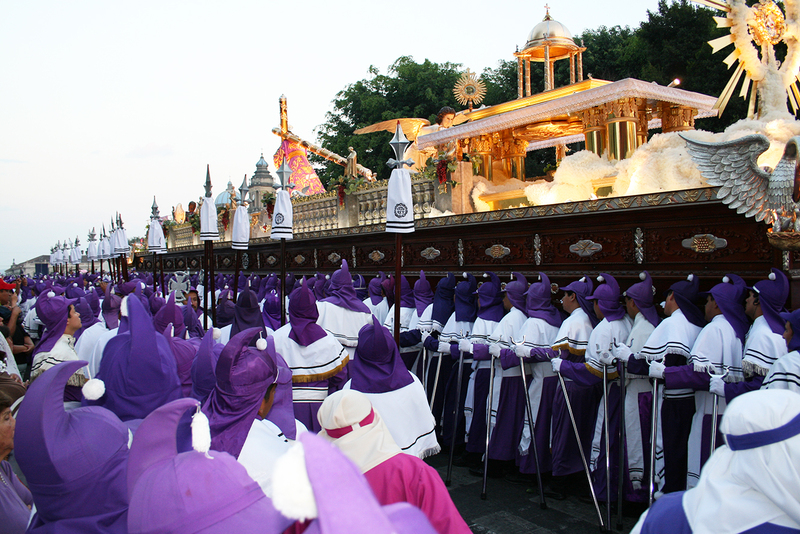 In Guatemala, Easter customs include a large, colourful celebration marked by countless processions. The main roads are closed, and the sound of music rings through the streets. 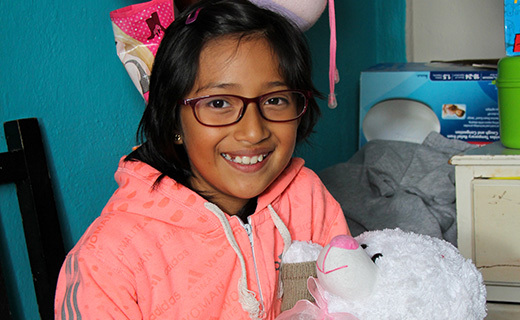 In Colombia, Compassion projects put on different activities every year. 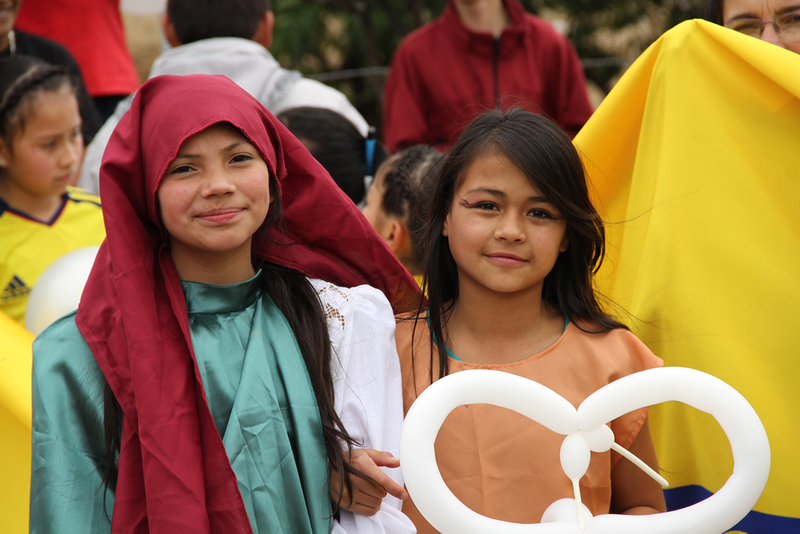 These kids are taking part in an Easter parade by dressing up as biblical characters. The parade is part of a Bible camp run by the project during Holy Week. Easter in Uganda is celebrated on the same day as the UK. 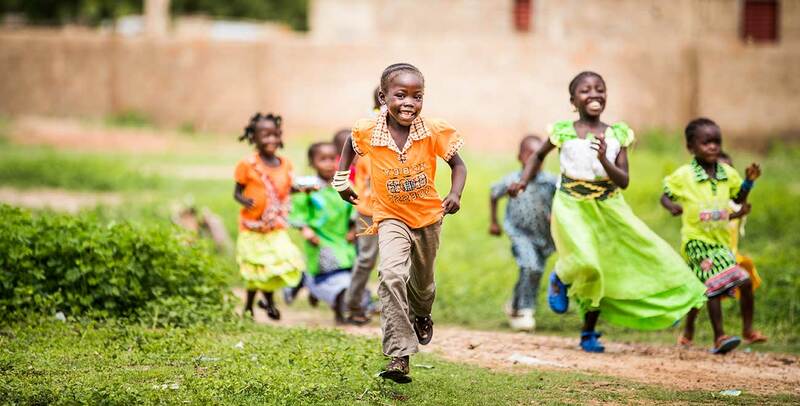 Compassion-supported children enjoy participating in activities including Easter plays and concerts at their churches. At some projects the staff also arrange special treats such as a picnic. 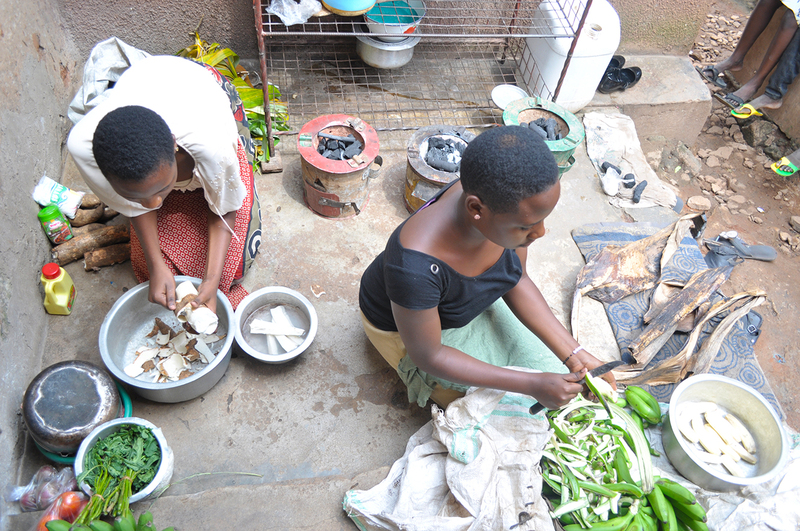 Food is an important part of Easter celebrations in Uganda and families will prepare a special meal of Ugali (a dough-like consistency made from maize flour), potatoes, beans, chicken or goat. 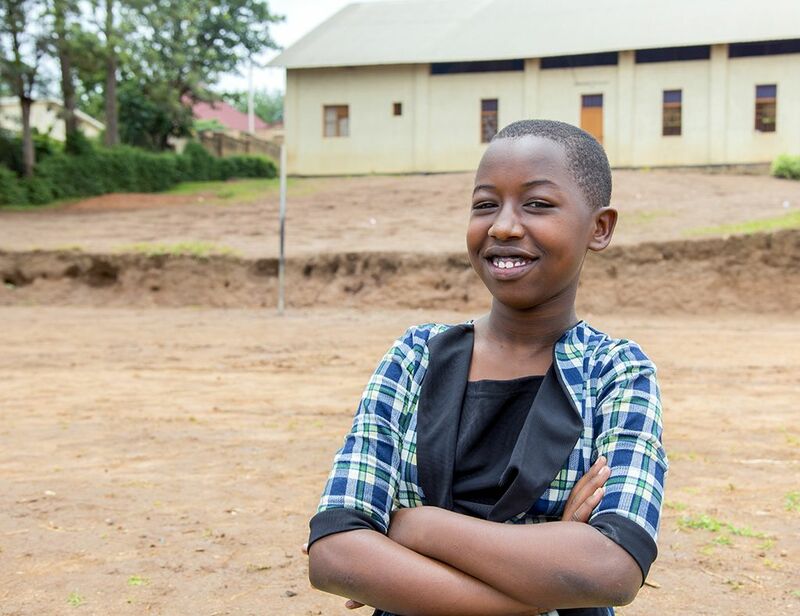 Easter in Rwanda is a time to celebrate with family. 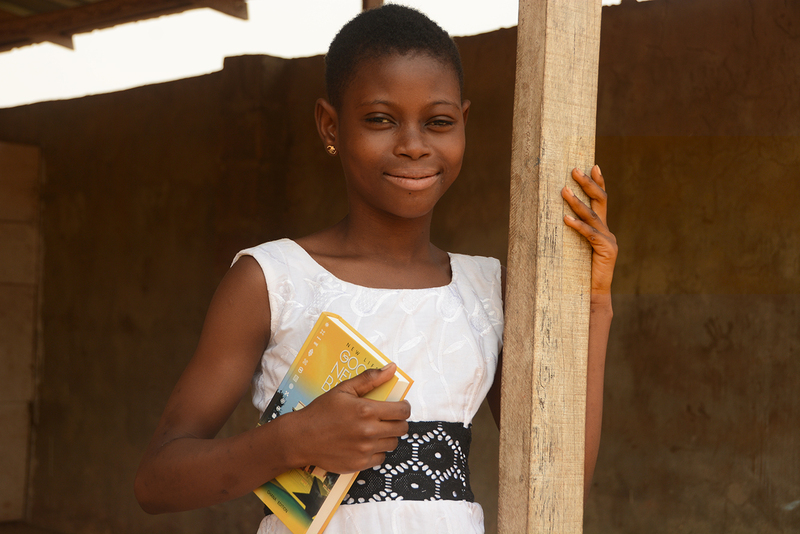 Compassion-sponsored child Cynthia shares, "Besides going to church on Easter as a family, we usually go and visit our family members that live in distant places and we share a memorable meal. It’s only Easter when I get to meet my cousins, uncles and aunties I don’t get to see every day. It’s an amazing day for our family." As I revisit the events that occurred during the hours of agony before Jesus gave up his spirit and the events after, I see the history of the world change entirely. While the Jewish leaders were sure Jesus was dead, they nevertheless put soldiers on guard at the entrance to the tomb so that his disciples would not ‘steal’ His body. On top of that, they gave money to the soldiers who had witnessed the dramatic event of resurrection, to cover up the truth that He didn’t rise from the dead and therefore death was not defeated. But the power that raised Jesus from the dead has been unfolding and people experienced dramatic change when they met Jesus. Because of His death and resurrection, the Church is growing and Christ's love is spreading. Jesus’ love for us compelled Him to give His life so that we can have hope. 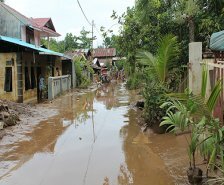 We ought to do the same for those who are suffering and have no one to love them. This is indeed the reason Christ made us alive. 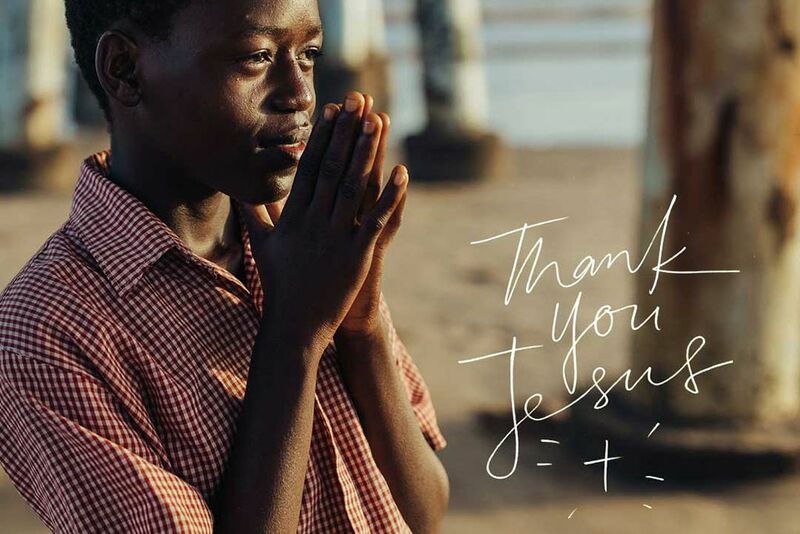 Easter Bible verses: These famous Bible quotes for Easter remind us of the sacrifice Jesus made on the cross for every one of us. 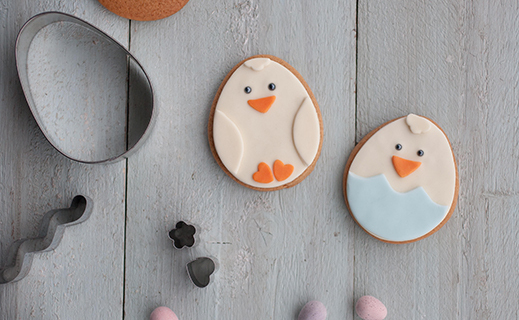 Easter recipe: Delicious Easter biscuit recipe from Honeywell Bakes. Easter crafts: easy Easter craft ideas for you, your family or Sunday school class. Lent with Compassion: Download our free family Lent planner, suitable for children of all ages and packed full of activities. 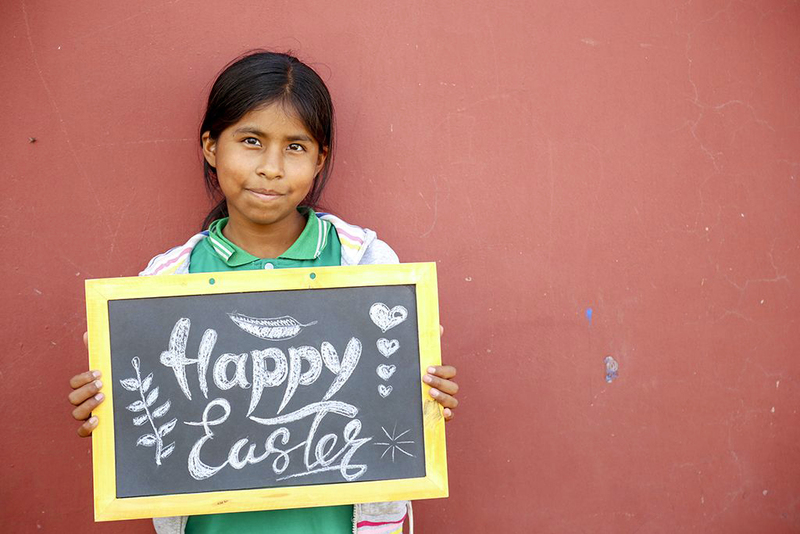 From everyone at Compassion UK, may you and your family have a Happy Easter. Just love the drawing by Justin in Kenya - it's brilliant! Lovely to see all the happy children, well done Compassion ! My comment is in the subject slot! Happy Easter! 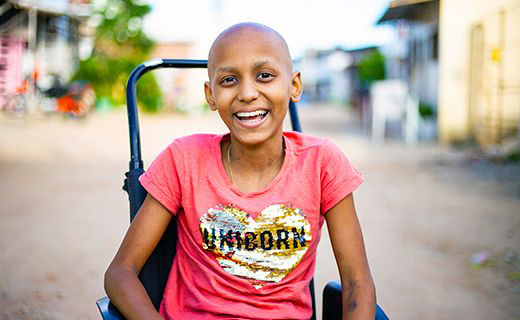 One 10-year-old’s testimony of overcoming leukaemia.